The Patient Protection and Affordable Care Act is the federal law passed in 2010 to provide affordable health insurance. This historic law will change the way health insurance companies provide coverage as well as the way consumers purchase coverage. To help those without health insurance get covered, the law also requires each state to set up their own marketplace to offer health insurance or have one provided to them by the federal government. California has chosen to create its own marketplace – Covered California. You may also contact Covered California toll-free at 1 (800) 300-1506 for enrollment assistance. Interpreters are available to help you select affordable coverage options. MEDI-CAL – nothing will change! MAP or no insurance coverage – you may be eligible for MEDI-CAL even if you were denied before. 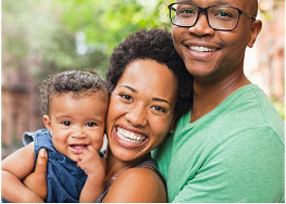 If you don’t qualify for MEDI- CAL, you may be eligible for low cost coverage through COVERED CALIFORNIA, the California Health Insurance Exchange.